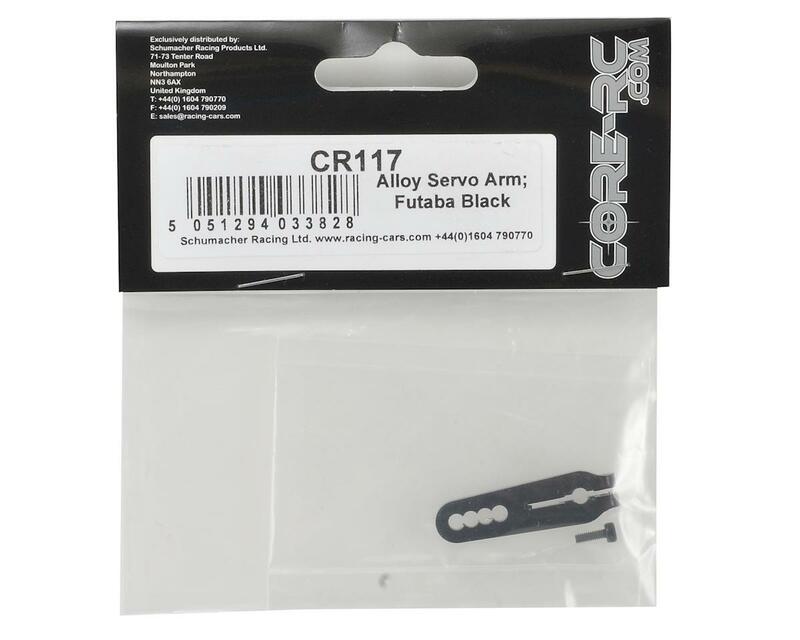 This is a Core-RC Aluminum Servo Arm and is intended for use with any servo that uses a 25 tooth spline output shaft. 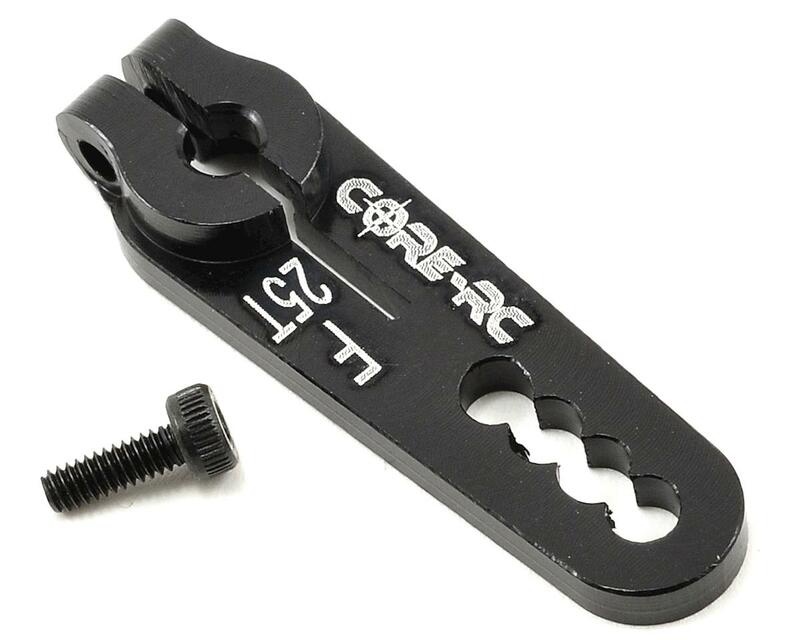 These servo arms are made from high quality aluminum alloy, and are anodized black for durability and stealthy looks. These are suitable for many applications from RTR sport vehicles to competition Touring Cars.